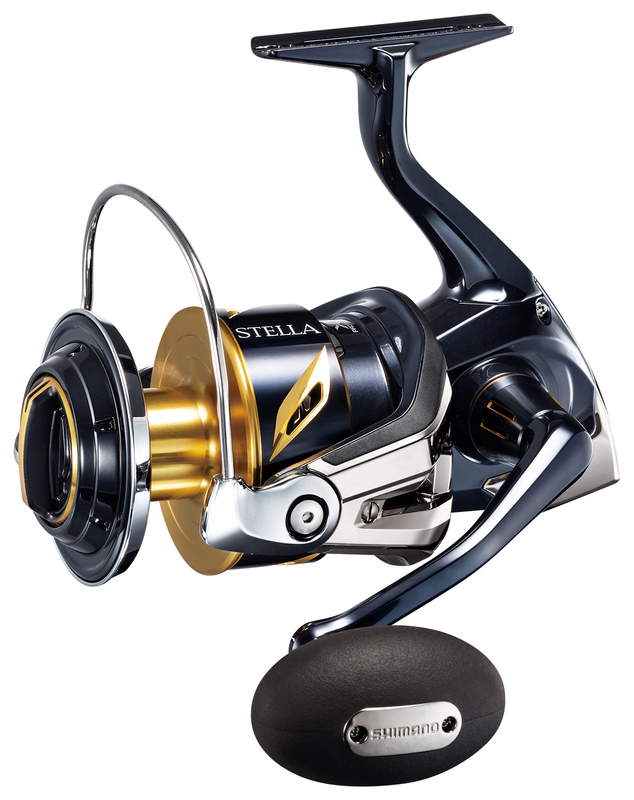 Stella SW has always lead the fishing world in durability, power and operability. New Stella SW builds on that tradition. Available in 8000, 10000 and 14000 sizes, Stella SW brings unmatched strength, reliability and ease of use to serious saltwater anglers. Featuring a Hagane body, Stella SW boasts a highly rigid metal construction. This means improved impact resistance and less body flex. At the heart of the reel, state of the art Hagane gears are cold forged for lasting durability and smoothness. Infinity Drive Technology offers an improved winding experience, optimizing winding torque by 26%. Silent Drive further improves smoothness by eliminating worm shaft and drive gear play. An all new Shimano Heatsink drag improves performance by transferring heat away from the spool, reducing spool surface temperature by up to 100 degrees. X Protect and X Shield ensure your investment is guarded from the harsh elements of a saltwater environment so you can fish with confidence. 2019 Stella SW is lighter, more powerful and more reliable than ever before. 8000 Size models are for braided line use only. X-TOUGH DRAG with its dramatically enhanced smoothness, control and toughness anticipates the vigorous speed of Blue-Fin Tuna and Giant Tuna. With the use of rubber gaskets the drag is sealed against intrusion of the elements such as water and dust. With the Platinum Service Plan, when submitting your Warranty Registration card points, you will receive coupons for discounts on clean and lubes (from half off to free!) Also included are Priority Shipping labels guaranteeing 48-hour turn around time from Shimano or participating Shimano Authorized Warranty Centers.